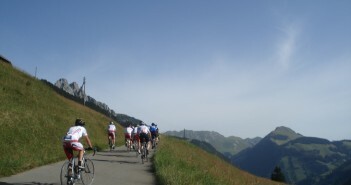 You are at:Home»Posts Tagged "pillon"
A couple of truly beautiful Cols in the Swiss “Vaudoise” Alps. Col de la Croix will feature in next week’s Tour de Romandie. Starting from UCI headquarters in Aigle, Switzerland – these are two beautiful climbs into the Vaudoise alps. Not the hardest ride (or easiest) …. but almost the entire route is above 1000 metres and it is beautiful.